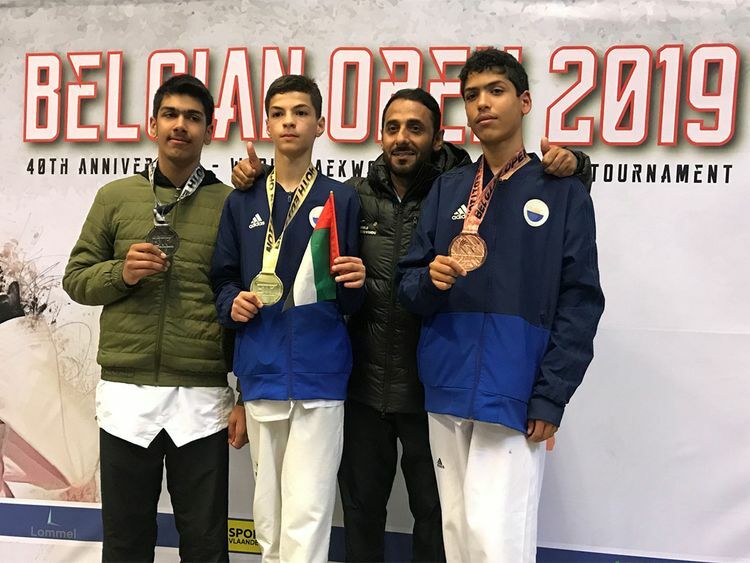 Sharjah - Sharjah Sports Club returned with excellent haul of three medals at the end of the 40th Belgium Open Taekwondo Championship held in Lommel last weekend. 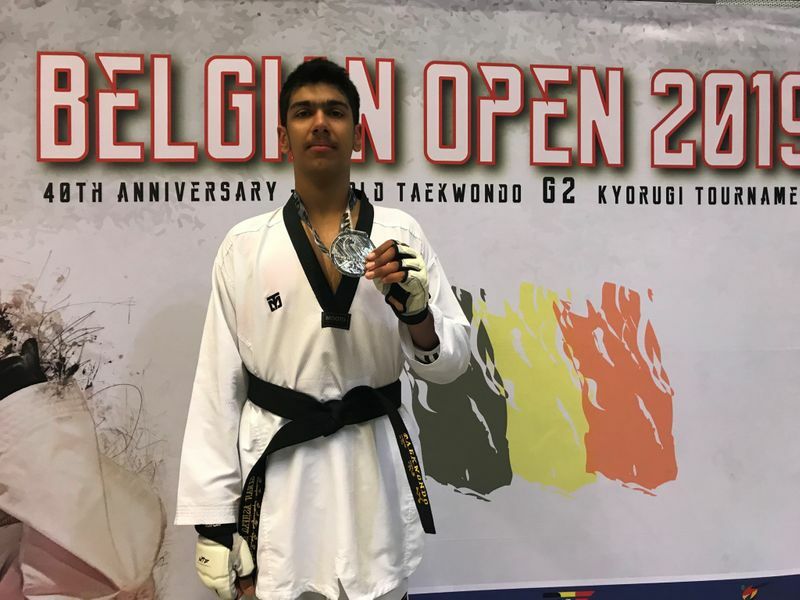 Omar Yasser bagged a gold, Sinan Ashfaq Ahmed got a silver, while Abdullah Ahmad Al Faheem ended with a bronze at the De Soeverein sports hall in the city of Lommel in the Belgian province of Limburg, on Sunday. Yasser took the gold with a win over Younes Benharrak of France in the final, in the under-45kg cadet category, while Sinan beat Pavel Mironov of Russia in the semi-final in the +65kg cadet category before being forced to forfeit the gold medal match due to injury. Al Faheem’s bronze came in the under-53kg cadet category. Though all three contested under Sharjah Sports Club banner, Sinan’s silver was the first-ever medal in taekwondo for Pakistan in Europe. Abdullah Hatim, UAE National Team Coach and Technical Director at Sharjah Sports Club, noted that the performance of the squad is commendable considering that it was a G2 event with participation of more than 1,400 athletes from over 50 countries. “We are working hard and hope to do even better at various championships including the upcoming Cadet Taekwondo World Cup in Tashkent and Asian Junior Taekwondo Championship in Amman,” Hatim said. Sinan’s win was even more special as this was the third medal from him for Pakistan in less than two months. He had won gold at the Fujairah Open Taekwondo Championship in February and another gold at the UAE National Championship in Sharjah on March 1. 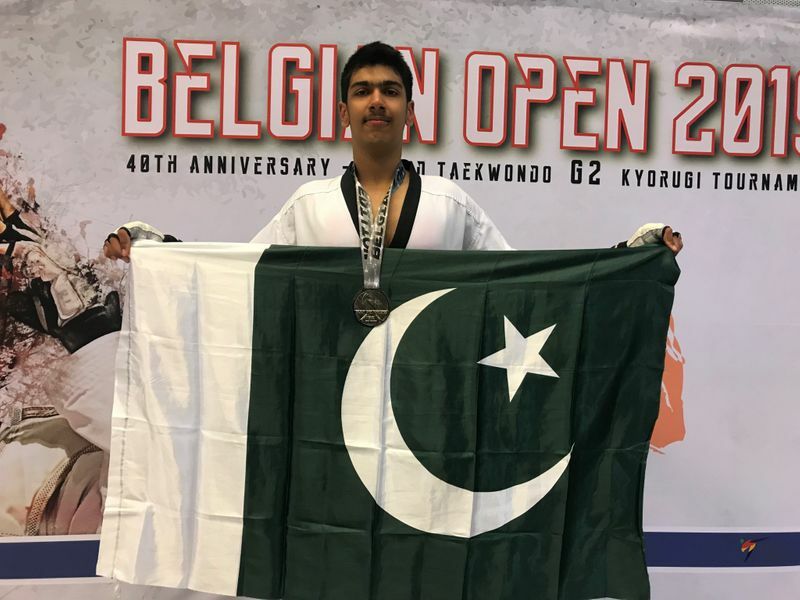 The 13-year-old Sharjah boy had opened with a Bronze for Pakistan at the President’s World Taekwondo Championship held in Tashkent in August 2017 making him the first Pakistan expatriate to win medals in taekwondo for his country. Colonel Waseem Ahmed, President, Pakistan Taekwondo Federation (PTF), said that he was confident of Sinan’s success at the next two competitions to be held in Tashkent and Amman later this year.